Nourishing Noodles contains nearly 100 meatless recipes that feature globally-infused explosive new flavors for a delicious low-carb meal. Put your Spiralizer to work to create fun, meatless meals in minutes! With increasingly busy lives, it's hard to find the time to eat healthy and incorporate vegetables into our diets. Weeknight meals tend to be weighted down with heavy pasta dishes that bloat and add inches to the waistline. And let's face it, there aren't a lot of nutrients either. So how do you get the yummy comfort of a bowl of spaghetti without the carbs? Spiralize! 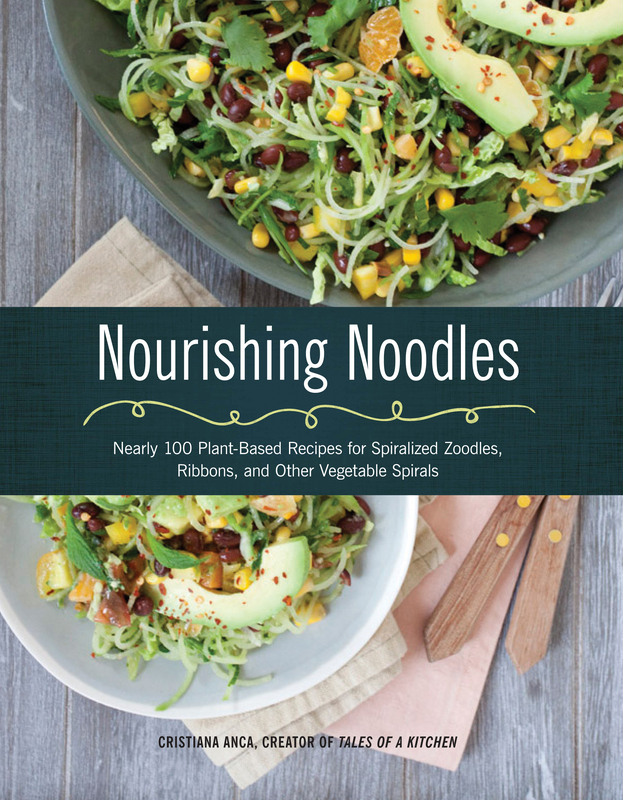 If you're vegan, vegetarian, low carb, or even just looking for fresh, healthy and easy recipes to add to your menu, Nourishing Noodles has all the recipes you want! Spiralizing takes just a few minutes to do any vegetable, so these recipes are also super fast and easy for any night. Cristiana Anca, founder of Whole Noodles, provides you with 75 step-by-step recipes to turn any firm vegetable into a healthy, filling, and comforting noodle meal. From carrots and zucchini to eggplant, cucumbers, and potatoes, you can transform an ordinary veggie into a delicious bowl of noodles and dress it up with sauces, dressings, and any of your favorite add-ins.